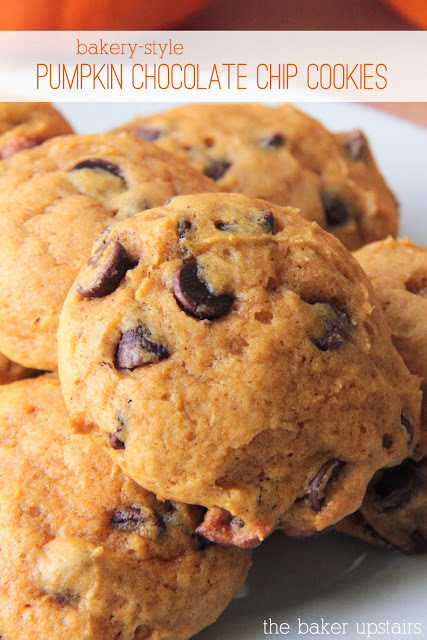 How about another delicious cookie recipe for you today? Yes, I recognize that the balance around here has tipped heavily in favor of desserts lately, but why not add a few more? 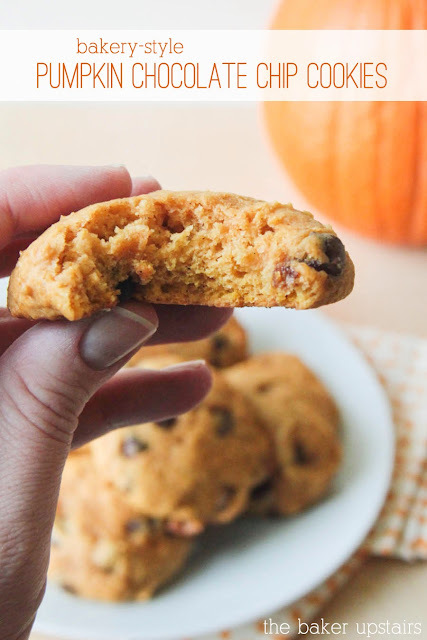 I am a total sucker for those soft, cakey pumpkin cookies from the store bakery. Our grocery store carries them year round, which is bad for me because I can't stop buying them! Of course I need to try making everything I love at home, and this recipe comes the closest of any I've found. I've been making it for several years now and it never disappoints! I love how easy they are to make, and the texture is just awesome. I whipped up a batch of these for our trip to Moab last week and we happily snacked on them as we drove. I think they actually get better the next day, but they're really delicious anytime! Make them, and you'll love them too! Preheat oven to 350. Spray baking sheets with nonstick spray. Mix flour, soda, baking powder, cinnamon, nutmeg, and salt. Beat butter and sugar in separate bowl, then add pumpkin, egg, and vanilla, and mix well. Beat in flour mixture gradually, then fold in chocolate chips. Drop by tablespoons (or use a cookie scoop) onto baking sheets. Bake 15-18 minutes or until edges are firm.